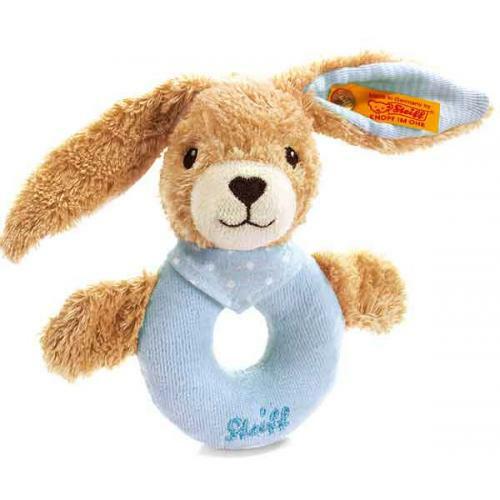 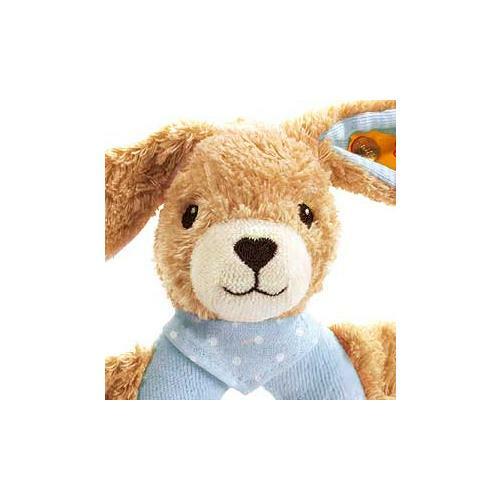 Steiff baby safe HOPPEL Rabbit Grip Toy. 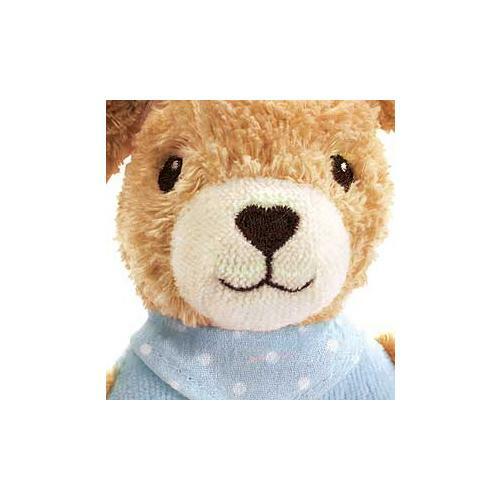 Made of blue fluffy, certified organically grown cotton, size 12cm. With Rattle.Machine washable.